It's adorable. I was exactly what I expected. Still in rotation as one of my faves! Rock the fringe fashion without looking like you strolled in from the Wild, Wild West. We tell you how. 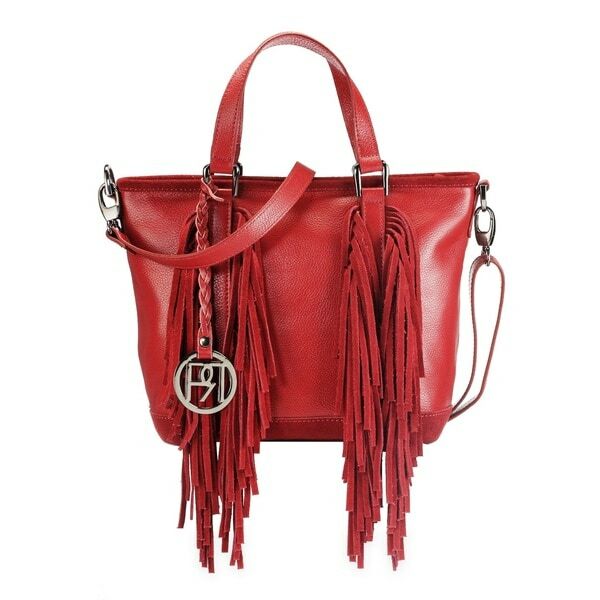 Grab this trendy bag, adorned with our signature soft soreto suede fringes. The galvanized trims are scratch and rust proof. The bag is spacious, trendy and the best accessory to try out the fringe trend. Our creations are untouched by machine, and crafted by men. each one of our five artisans is allowed togive his full attention to the minutest element. from the texture and grain, to the size and width, no part of our material is left without scrutiny. genuine leather is clipped with unwavering precision a thousand times over till theperfect cut is realized. every piece is mancrafted by hand, in our own distinct style, with a delicate finesse that moulds separate pieces of our exquisite natural leather together as one, giving that unique look. setting leather trends has been our creed and it's a belief that reflects in all our distinct designs. we bring you the best in fashion every month, with moods, trends and silhouettes inspired from the fashion ramps in milan, paris, berlin, london, new york and tokyo. How to Clean a Canvas Handbag from Overstock.com. Our guides provide customers with information about how to clean a canvas handbag.